What would Vice Admiral Lord Nelson make of it? The new Queen Elizabeth class carrier is 35 times the size of his famous flagship HMS Victory and four times her length. 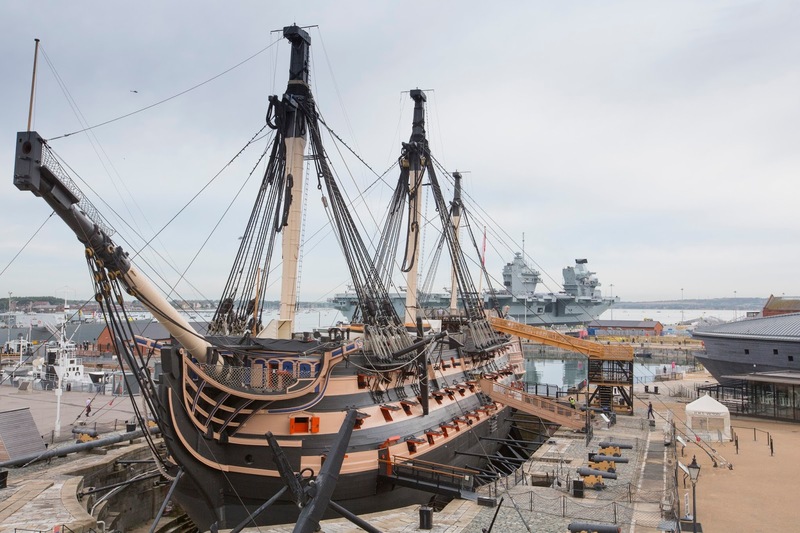 Visitors to Portsmouth Historic Dockyard will get the very best view of Britain’s largest aircraft carrier ever built this summer now she has arrived in her home port. To coincide with the carrier’s arrival into Portsmouth, there is a new Aircraft Carrier exhibition in Portsmouth Historic Dockyard’s Storehouse Number 9.